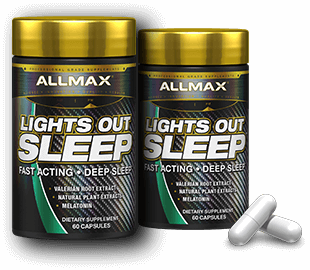 Introducing ALLMAX LIGHTS OUT SLEEP. 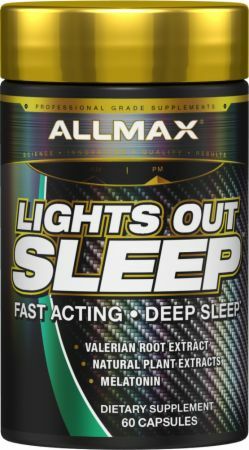 ALLMAX has taken the best-of-the-best key ingredients known to produce a deep sleep and to get there quickly. * We all know that a good night’s sleep is essential. Get to sleep fast so you can wake up feeling rested and refreshed. No Lights Out Sleep Reviews Found. 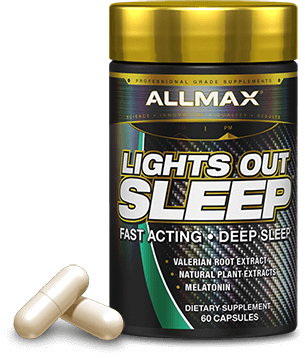 Directions For Lights Out Sleep: Take 1 to 2 capsules 30 minutes before going to sleep. Warnings: Do not use if you are pregnant or nursing. Do not exceed the recommended dosage. Consult your physician prior to use if you are taking any prescription medications. Do not use if packaging has been tampered with. Store in a cool, dry place and keep out of direct sunlight. KEEP OUT OF REACH OF CHILDREN.